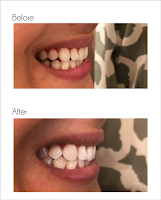 Teeth Whitening Review from a Wine Lover with Sensitive Teeth! Wine and Coffee drinkers, I’ve got the Teeth Whitening Solution for Ya! Just a heads up before I begin talking about my teeth whitening woes, the post features a giveaway! That’s right my friends, and it’s a good one! Read through for details. Yes, I love a good glass of red wine (or bottle if it’s the weekend) and I’ve noticed throughout the years that my teeth were becoming more and more yellow. 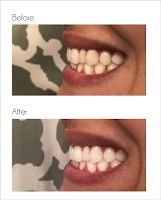 In the past I’ve tried all sorts of teeth whitening solutions, from whitening strips, to all things charcoal (seriously, I tried them all), but nothing made a drastic difference to my ever dulling smile. I was getting desperate and started debating the idea of getting my teeth professionally whitened but I could never quite justify the cost. On top of the cost and various failed methods, I have rather sensitive teeth and I was concerned about the pain associated with getting them professionally done, especially considering that my teeth always ache after using whitening strips after a couple days. All roads were beginning to point to professionally services. I was dreading the cost. That’s when I discovered Smile Brilliant. 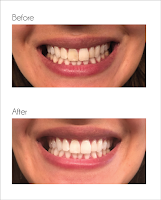 This company offers custom-fitted whitening trays (which just so happens to be the #1 dentist recommended teeth whitening method) alongside professional strength whitening get for 70% less and 5x faster that professional services! If you were to do that same exact service at the dentist, it could cost you up to $500 bucks, whereas the starting kits at Smile Brilliant are $139. Plus you get to do it from the comfort of your home. Now I’ll be honest, after trying so many teeth whitening methods, I was skeptical. Why would custom-fitted trays works any better? Isn’t that the same as white strips but only more inconvenient? But alas, desperate times calls for desperate measures. I ordered the T3 Sensitive System for light stains. I received the whole kit in the mail shortly after. First things first, you have to create your molds. This part was a tad time consuming. My biggest advice here is to FOLLOW directions carefully! If you mess up then you risk your molds being faulty which results in trays that don’t fit your teeth and/or don’t thoroughly whiten. I know first hand because my husband created his trays alongside me. A week or so after sending in our molds, we received our custom-fitted trays in the mail and mine fit perfectly. Dan’s, however, were completely off and would not fit his teeth. So he had to send them back in and then create another mold and send that back in….you get the picture. Take great care in the mold creating step! 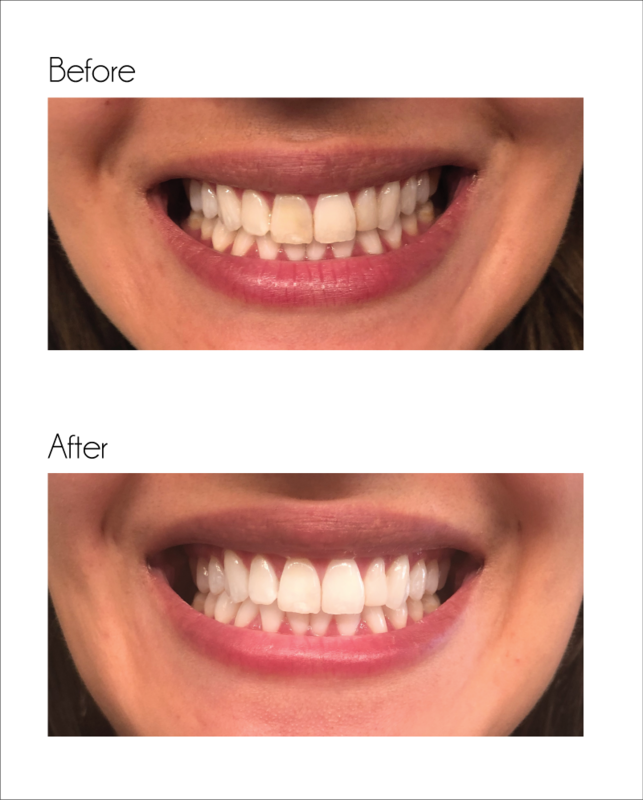 Moving on, once you get your custom tray and begin whitening, it’s critical to also follow the directions. Since you’re dealing with 2 types of gel each night, you have to make sure you do it correctly. It’s honestly a bit time consuming as far as teeth whitening systems go. You have to plan your night accordingly because it can take anywhere from an hour to 3 hours and 30 minutes, depending on how long you have the trays in. So that means, making sure you eat dinner at a decent time so your not starving at midnight OR going to bed super late (which I learned the hard way). After trail and error, my ideal routine was eating dinner around 6, then getting ready for bed. I incorporated this into my nightly routine and on good days, I had my custom trays in by 8pm. Then I would read or watch TV white the professional whitening get worked it’s magic. My kit lasted for almost two weeks, and after each night, I would look in the mirror and see if I noticed a difference. Honestly, I never noticed a difference, even at the end. However, that’s because I was expecting drastic changes day by day when it’s more of a gradual process. It wasn’t until I compared my teeth to my husband when I finished the system (we had the same level of teeth “whiteness”) that I noticed how much whiter they had gotten! Needless to say, I was very happy with the results! Yes, the process was a tad cumbersome and I really had to plan out my evenings accordingly those two weeks, but I think it was worth it. Out of all the teeth whitening methods I’ve tried, this one was the most noticeable! Check out the results and see for yourself! Get to entering, friends and good luck! Will announce the winner on my Instagram. Hope this post helped you in your teeth whitening journey and feel free to reach out with any questions or concerns you may have! This week on #ThrowbackTripThursday, we wanted to share our photos from our visit to the Grand Canyon. During our cross country road trip last year we made sure to stop at this famous landmark, one that many consider to be one of the 7 wonders of the natural world. This site has long been a bucket list item, and it did not disappoint. It's officially Spring time! 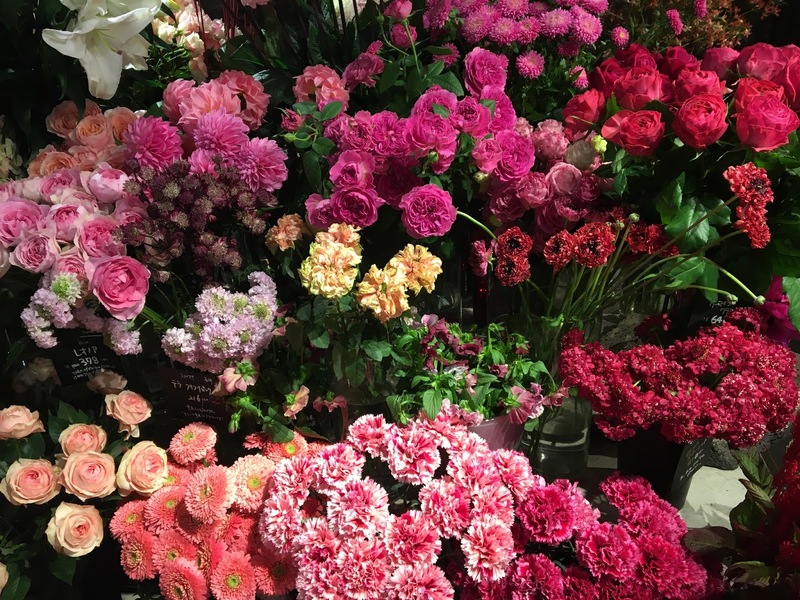 In light of the new season, I thought I'd write a post about one of my favorite themed cafes in Tokyo - Aoyama Flower Market Tea House. Speaking of Spring, it's currently raining + relatively chilly in SoCal...oh, what I would give to be back in this tea house sipping on fresh, hot herbal tea surrounded by colorful blooms. At the end of January, Dan and I took a trip up to Portland for a weekend getaway with two of our good friends from Seattle. The first half of our trip was spent in the city, brewery hopping and donut eating. For the second half of the trip, we wanted to enjoy some of the famous scenery that Oregon has to offer. We decided to drive along the Historic Columbia River Highway and stop along the way for some light hiking and waterfall sightings. We're starting a new photo series called "Throwback Trip Thursday!" or #tbtt if you prefer. We have countless photos from trips pre-blog and even within the past 9 months that we just haven't gotten around to sharing with you all. We're hoping to relive the memories from those trips via this weekly photo series. To kick off the series, we are going to start with our 1st Anniversary trip to the amazing country of Panama visited over 2 years ago. This seemed like a fitting place to start since it's still our favorite destination.